"The steak of veggie burgers. 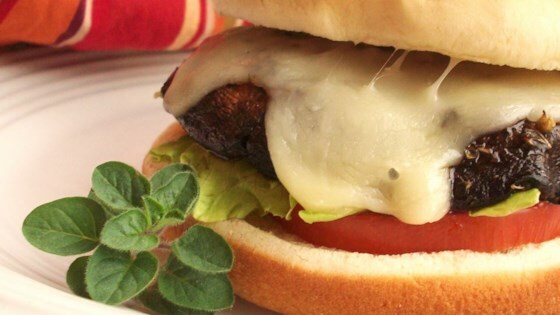 Serve on a bun with lettuce, tomato, and aioli sauce. Oh yeah!" Wow! The cheese really makes this a treat. I tried grilling this on my Foreman grill for just a few minutes, and it comes out perfect!